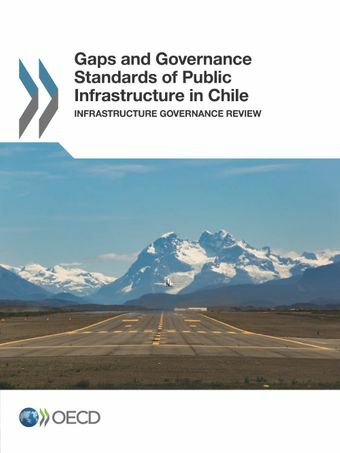 This review underlines the success of Chile’s infrastructure policies which have served as a backbone for it's rapid economic development and social welfare reforms - but the report also highlights the need to update public investment processes to reflect a more integrated approach to long-term development. What are the potential impacts of not addressing Chile’s infrastructure gaps? Economic growth nationally would be constrained, as deteriorating infrastructure can negatively affect the competitiveness of export industries and inflate the prices of imported goods. Disparities in economic performance between regions and within metropolitan areas could widen. Future resources that could be allocated to strategic infrastructure investment may need to be diverted towards actions to reduce the deterioration of inadequate infrastructure. infrastructure responses alone will not be sufficient to meet future needs. Investments need to be accompanied by stronger governance frameworks and institutions, with a clear evaluation processes. the importance of the regional dimension. Chile has the most centralised framework of the OECD for public investment, with 88% of that investment decided at the central level – compared to 41% on average in the OECD.